What is a Hot Stones Back Treatment? 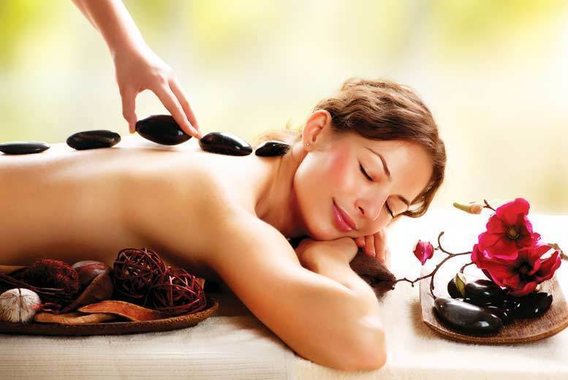 A Hot stones back treatment is very similar to a basic back treatment. It includes a cleanse, massage, mask, and exfoliation. However, it includes the placement of hot stone of the back. Usually the stones are made of Basalt, as it contains a high concentration of iron and retains heat very well. The stone are immersed in water and then heated to an optimum temperature.The placement of hot stones on the back is done for a number of reasons. Heat helps back muscles relax and allows for the misuse to penetrate deeper into the tissues. It also helps promote circulation and stimulate healing. Stones are placed on key points of the back to relieve areas that commonly cause much of the back tension.